Installing security system for your home and business can become costly and at times confusing. Our staff has been building upon years of experience on choosing the proper item for the direct application. Detson Security chooses these products based on years of hands on field experience and the choice is made with you in mind. The calibur of equipment you choose to utilize is reflective of our commitment to quality, and is echoed in our commitment to service. Browse through the following product lines to see what we are offering. As technology advances we will advance with it, so you will see updates made to this page periodically. Thank you for your continued interest in Detson Security! Detson Security offers these fine DSC security products. Click the links below to see more information. Detson Security offers these fine BOSCH security products. Click the links below to see more information. 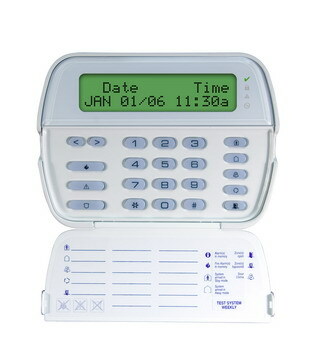 Detson Security offers these fine interlogix security products. Click the links below to see more information. Interlogix™ Global Security provides leading security and life safety solutions for both residential and commercial enterprises. Offering a comprehensive product portfolio that includes intrusion, video surveillance, fire and life safety, access control and transmission systems, Interlogix is built on the promise of investing in the future with the strength of past performance. Detson Security offers these fine LOGENEX security products. Click the links below to see more information. You can make something cheap or you can make something right. But just because something is expensive doesn’t mean it’s the best. It may just be overpriced. At Logenex we’re all about making something right. Actually, we’re really about making intercom and door entry products better, easier, stronger, more versatile, and better looking. Detson Security offers these fine PELCO security products. Click the links below to see more information. Detson Security offers these fine RBH ACCESS security products. Click the links below to see more information. Drawing on decades of experience in the Electronic Access Control markets, RBH's founders insisted that Innovation, Quality, Integraty, and Value be the cornerstones of the company and its products. Detson Security offers these fine WatchNET security products. Click the links below to see more information. WatchNET is a leading manufacturer/supplier of quality video and surveillance equipment.